Today we're sharing some cards we created using the October stamp set (I am Grateful) and die (Grateful) from Technique Tuesday. This is an awesome set, not just for Fall and Thanksgiving. 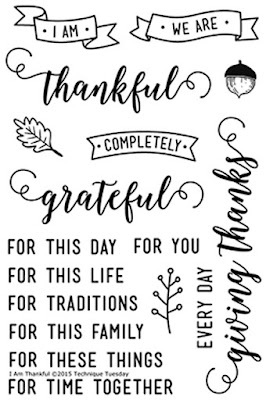 It can be used all year to create pocket scrapbooking cards listing things you are grateful for. I also thought it would be a wonderful set for a mini gratitude book, and is perfect for year round thank you cards. 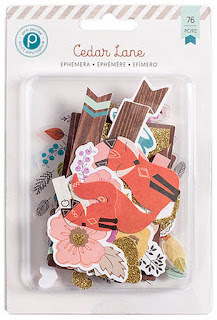 We paired the stamp and die with an ephemera pack from Pink Paislee's Cedar Lane collection for today's samples. Today we are sharing cards. We'll be sharing some pocket scrapbooking journaling cards later this week. So, be sure to check back. We die cut the word grateful from white cardstock, covered it with purple, pigment ink, added clear embossing powder and heat embossed it. That's what gives it that dimensional and glossy look. Here's a close up of the die cut word and some of the die cuts included in the Cedar Lane ephemera pack. The stitched and scallop rectangle die are from the MFT Blueprints #20. You'll find it in our online store HERE. Our second card is super simple. 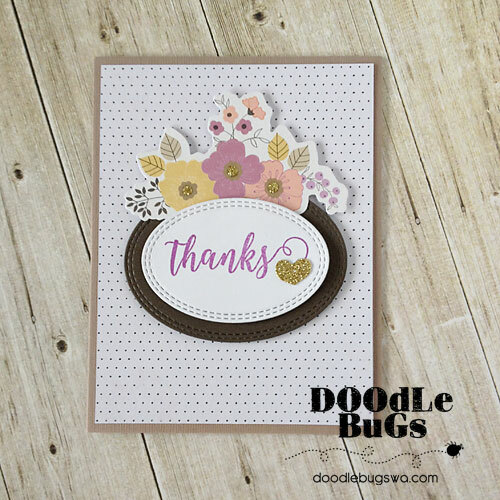 We stamped thanks and embellished it with more of the die cuts from the Cedar Lane ephemera pack. The double stitched oval is a new item we are carrying. 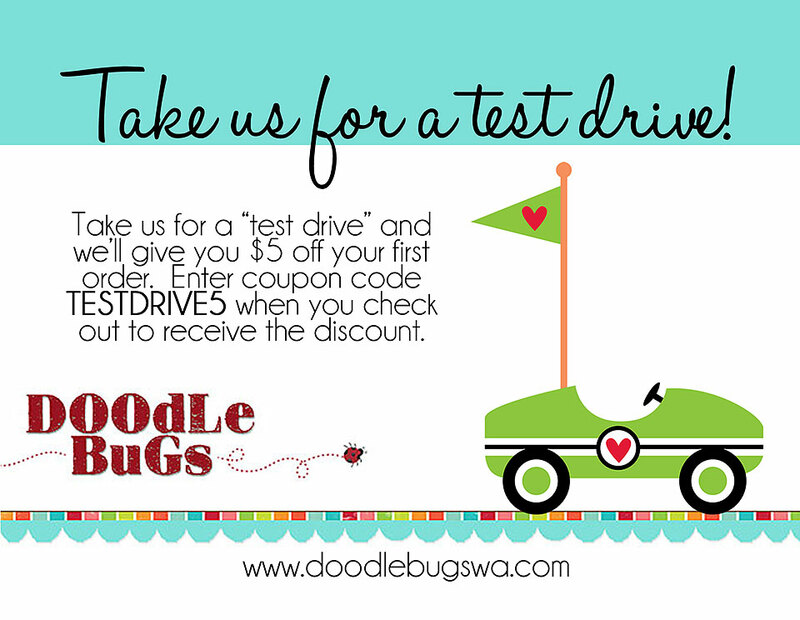 It's from MFT Stamps and is available in our Sequim, WA location. If you'd like to order it from our online store, please send us an email letting us know. We plan to add them soon, but they are currently not listed. Here's a close up look and links to the products we used. If you like all three items, save money by purchasing our Fall Bundle. The bundle includes all three products at a discount. You'll find our Fall Bundle in our online store only.